I love Halloween and it seems to be just getting bigger and bigger! This was Josh’s first so it was extra special. I picked up some baby bits earlier in October in Tesco & Dealz before they all sold out and decorated the house accordingly. Our estate is big into Halloween with lots of kids about so all the houses go all out! Josh loved all the new bits and bobs around the house, pointing our the pumpkins and loving the scary doorbell we have. We were dying to go to a Halloween event with him-pumpkin train, carving, patch and the like which originated state side but like everything else has become big business here. On the bank holiday weekend, through a friend we found a sweet little pumpkin patch up near Enniskerry called Scalp Nirseries. They had done a lovely job of making the place spooky with a fun graveyard scene, hay maze, a sweet pumpkin patch and great caving shed along with a haunted house and lots of spots for photo ops! It was free in and you just paid for the size of your pumpkin and if you wanted it carved or not-they sold carving sets to if you wanted to go the DIY route. Not for me but fun if you had older kids perhaps. 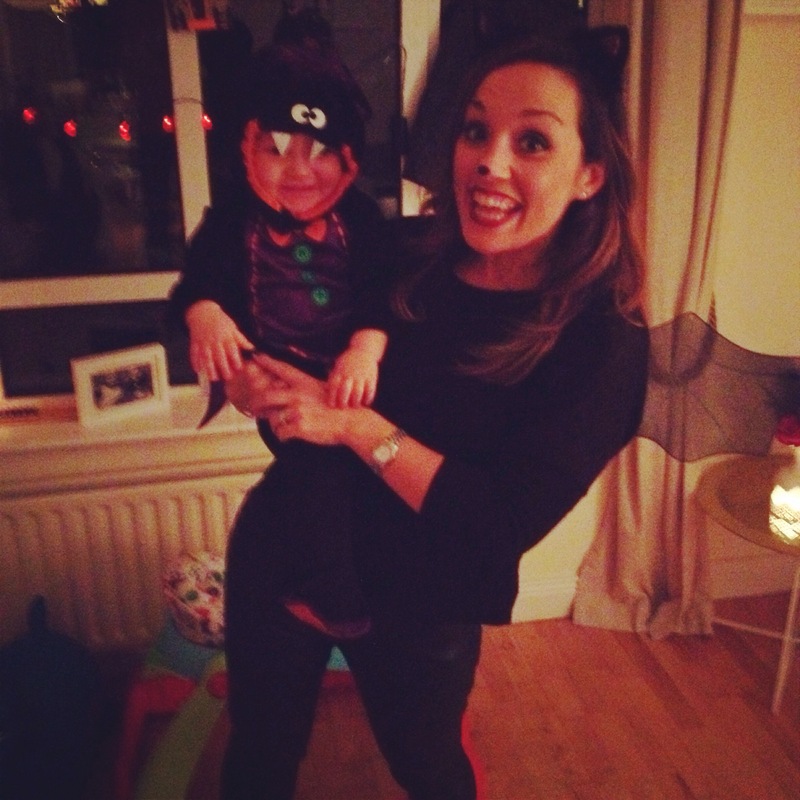 Next up was the day itself and I had invited some of my enthusiastic mama mates that wanted to dress their babies for their first Halloween but like me were a bit morto officially trick or treating. 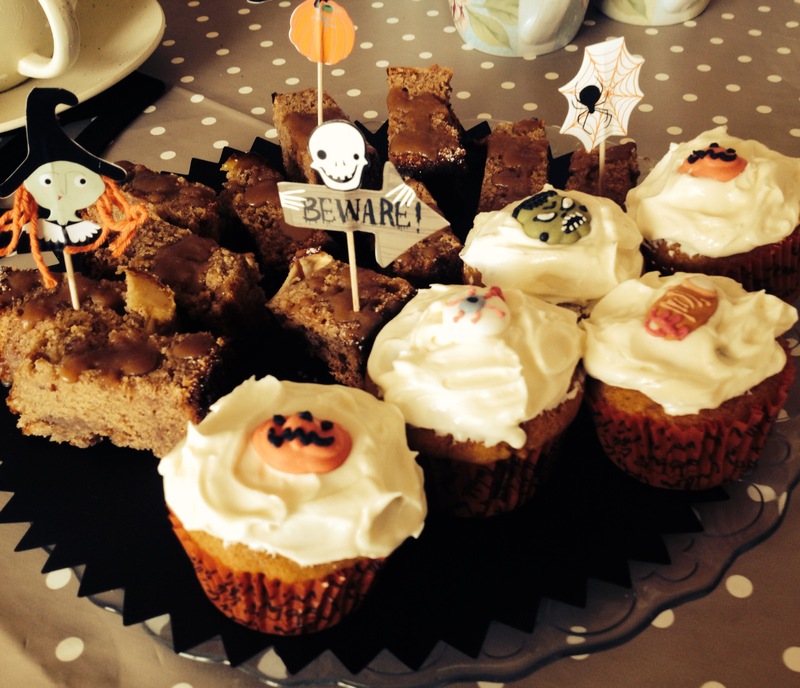 I held a coffee morning with Halloween bakes in aid of ‘Trick or Treat for Temple St’. It was just like our usual weekly catch up but for a good cause and lots of baby bats, witches and making it extra special! That night we had a family dinner with sausages and colecannon, filled the trick or treaters bags full of loot and brought Josh around to some of the neighbours-he loved it waving and grabbing some lollies where he could. We then put our feet up with some barn brack and a nice glass of red! Another occasion to bank in the memories… It felt really special, busy but full of fun. Now it’s time for the big birthday, the biggest occasion to date!